Dezeen promotion: the Piet Zwart Institute in Rotterdam has created a digital archive of student projects, in order to share its research with a wider audience. The archive platform showcases projects by the institute's Master of Interior Architecture: Research + Design (MIARD) programme, a two-year course that encourages design-led research in the field of interior architecture. Accessible by students, staff, and the general public, the archive is intended to reveal the wide variety of projects completed each year. "We want to create a comprehensive archive to catalogue, feature and share design-led research project with our community," said MIARD's course director, Alex Suárez. 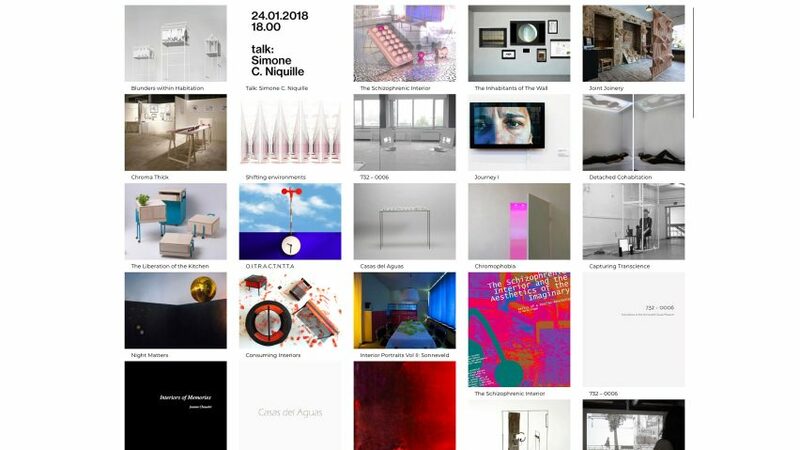 "It is an accessible online collection that anyone can visit, and reflects the programme's ethos, quality of work and the multiple dimensional practice of interior architecture. We're excited to see how the archive will grow and the content will shift – in 20 years a different idea of archiving will exist." Designed to be user-friendly, the archive appear as a grid of images, each one representing a different project. Users can click through to reveal the author of each project and read a short description. Works are arranged into four sections: Graduation Projects, Writings, Design Projects and Multiple Media. Projects can also be filtered thematically or by their completion date, allowing users to search in different ways. Highlights include Bhoomchaya Prakongpetch's Blunders Within Habitation – a project that satirises modern households, by exploring how smart technology poses a threat to domestic lifestyles. Others interesting works include Marta Latorre Rubio's Scale Figure, which explores the relationship between the human form and architecture, and Gill Baldwin's Capturing Transcience, a performance installation that looks into the effect of breathing on mental state. To explore the archive, visit the Piet Zwart Institute website.